Sophia is a multidisciplinary Illustrator and Animator born and raised in NYC. Her work covers a variety of subjects and media from Illustration and Animation to Branding, Web Design, Package Design and Typography to Painting, Drawing, and Sculpture. 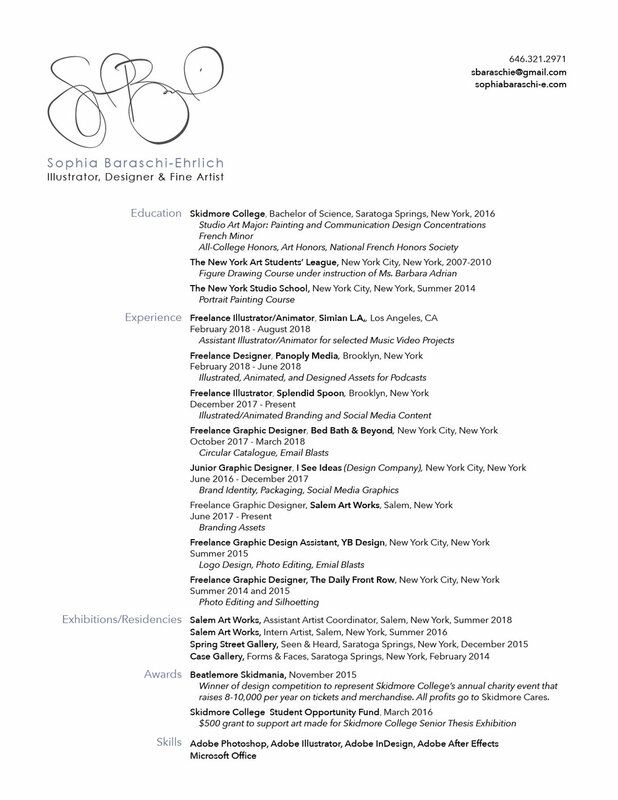 She graduated with a BS degree in Communication Design and Painting from Skidmore College. She has also studied at the New York Art Students' League and the New York Studio School.